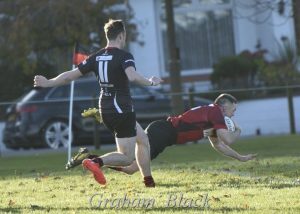 Two tries from Rab Cairns, one from Mark Green and a penalty try were not enough to get the Reds a result at North Berwick, as the home team ran in six to claim their 10th league win from 11 matches. 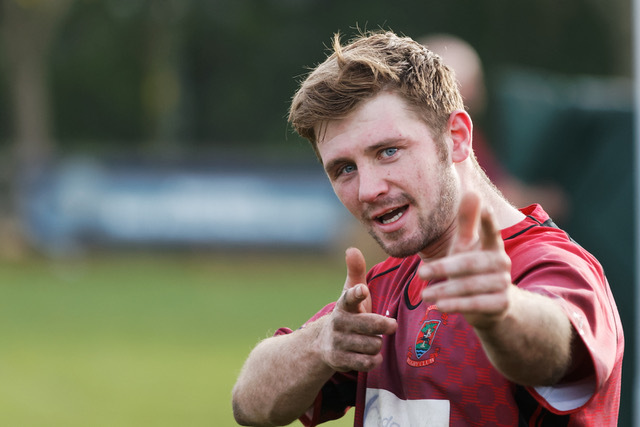 The Reds picked up another fine away bonus point win in Edinburgh, to make it 11 wins from 11 with 54 points, as they sit atop BT Reserve League East 2. There were braces for Cammy Walker and Stu Young (pictured above) and tries for Ross Oliver and Sam Buckley as the young Reds scored 6 tries in total.